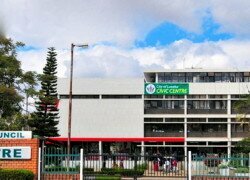 FOUR Lusaka City mayoral aspirants have pledged to improve water and sanitation systems to ensure all people have access to clean and safe drinking water. Patriotic Front’s Wilson Kalumba, United Party for National Development’s Maureen Mwanawasa and Independent candidates Elias Mpondela and Fisho Mwale all said they would prioritize water and sanitation once voted into office of executive mayor on August 11. Mr Kalumba said there was need to make water affordable and easily accessible by people especially those living in unplanned settlements. He said most people in unplanned settlements had challenges accessing clean water and the expenses involved in putting up water system equipment were huge. Mr. Kalumba said there was need for Lusaka City Council (LCC) and Lusaka Water and Sewerage Company (LWSC) to ensure that there was consistency in the way they supplied water to the people. He said people should not be subjected to going for long hours without water for no apparent reason. “People need to have access to water all the time regardless of their locality, water is a universal right and everyone should be able to access it without any hinderance,” he said. Mr. Kalumba further said that once voted into office he would ensure that the sewer systems in the city were worked on. And Ms Mwanawasa pledged to improve the water infrastructure and delivery system to avoid outbreaks of waterborne diseases like cholera and diarrhoea, among many others. Ms Mwanawasa said that there was need to improve the water reticulation in the city so that people had quality water regardless of whether they were in urban or peri-urban areas. She also said if voted into office she would ensure that there was an even distribution of quality water in all townships. She said legalizing all settlements would be her priority to ensure that the people who had settled in those areas were not displaced and left homeless. Ms Mwanawasa said it was not fair to start displacing people who have lived and built their homes in those areas. She would ensure that people who acquired land from the council had water and sewer systems in place before they could start construction works. “Access to clean water is a priority and once I am elected as mayor I will take it upon myself to ensure all residents have clean and safe water and are sensitized on how to keep their water clean’’, she said. Independent candidate Fisho Mwale said there was need to find other sources of pumping water and not depend entirely on one source considering the increasing population in the city. Mr. Mwale said that Lusaka entirely depended on one source of water which was not enough to cater for the entire city whose population was always increasing. He said that if there was another resource supplying water to the city it would not exert pressure on one source and would be able to make water distribution equitable across the city. Mr. Mwale said that it was important to modernize the current water station systems to ensure that the water distributed to the people of Lusaka was of good quality. “The infrastructure needs to be upgraded and modernized because that way we will be able to bridge the gap between the poor and the rich by ensuring that they all have access to clean water,’’ he said. Another Independent candidate Elias Mpondela pledged that once he was voted into office he would address the issues of erratic water supply in the city. Mr. Mpondela said that one of the reasons affecting water supply in Lusaka was inadequate water facilities. Mr. Mpondela also said there was need to establish key points on how garbage could be treated especially during the rainy season. He said careless disposal of garbage also led to water contamination because the garbage flowed into the water system.